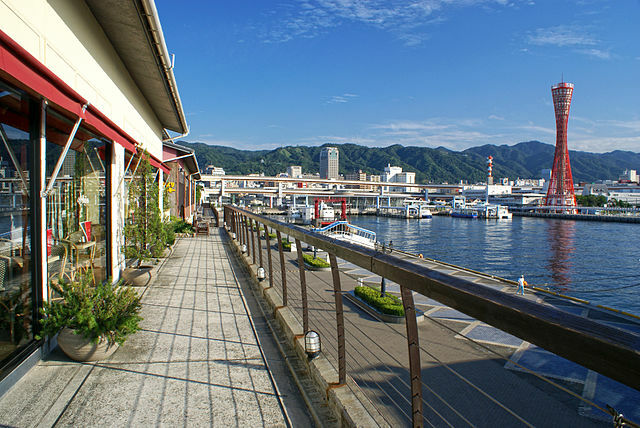 ​Kobe Harborland is a large shopping, dining and entertainment district between JR Kobe Station and the waterfront of Kobe's port area, perfect for winding down after a day hiking or sightseeing in the city. It is a lively place and the romantic evening atmosphere has made it a popular spot for couples and tourists alike. 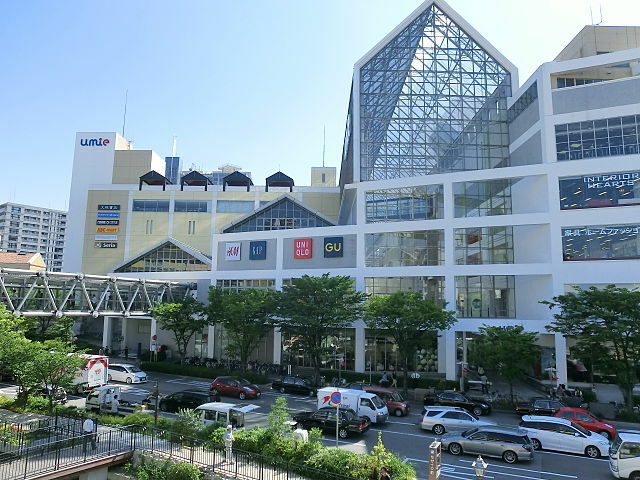 The most well-known shopping complex in the area is Umie which consists of three parts: South Mall and North Mall which are enclosed shopping malls, and the Mosaic. 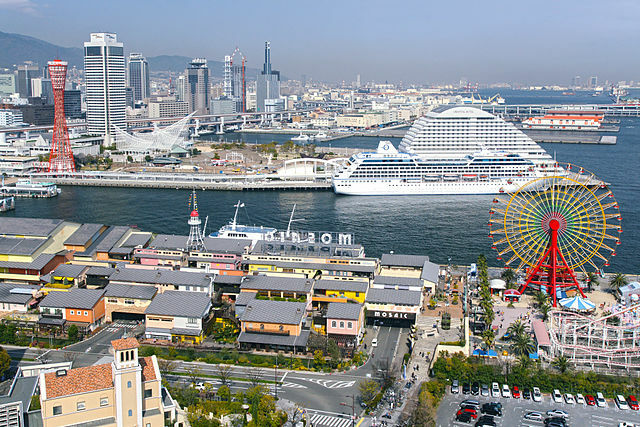 Mosaic is Kobe’s playground that stretches along the waterfront and offers restaurants, bars, a movie theater, a shopping market and an amusement arcade. Many of the restaurants overlook the harbor with views of the Kobe Port Tower across the water, which is especially delightful in the evenings when it is illuminated. Close by at the southern end of Mosaic stand a Ferris wheel where there is a small amusement park, and the Anpanman Children's Museum which is a great spots for kids. Harbor cruises are also offered in the area, some of which go as far as the Akashi-Kaikyo Bridge. 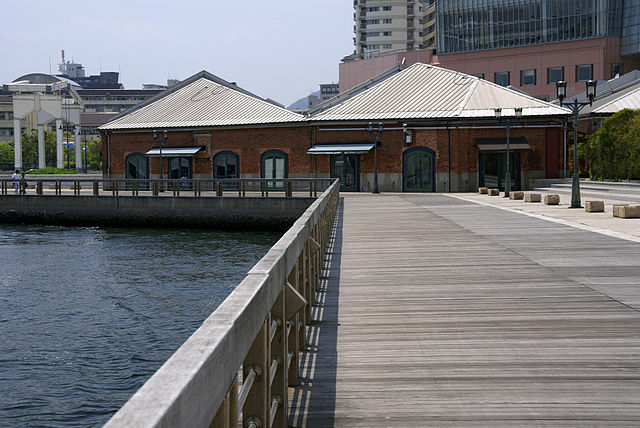 Wide promenades and a seaside boardwalk make Kobe Harborland a good place to take a walk. These passages together with a series of underground and surface walking paths connect the area to other buildings in the district that offer more opportunities of shopping, dining and recreation. On the top floors of the Promena Skyscraper, Manyo Club a spa resort offers hot spring; from large indoor Baths to various Saunas and overnight accommodations. The 24 hour facility offers nice views over the city from some of its baths. 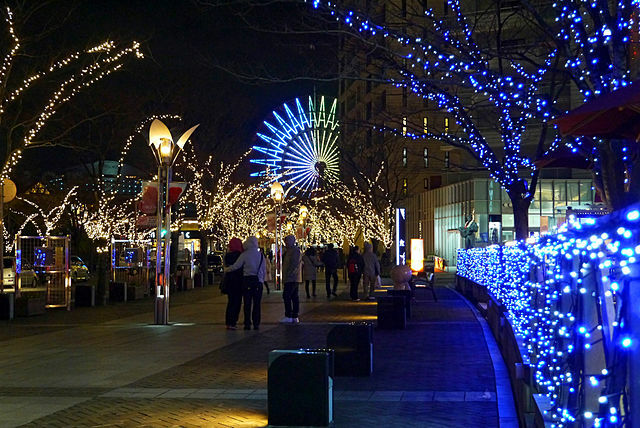 The Gaslight Street, another popular feature of the area and one of the main streets that lead through the center of Kobe Harborland, is lit up in the evenings by old-fashioned gas street lamps and electric lights. Kobe Harborland was once a massive dockyard yard. A small collection of 19th century red brick warehouses in the neighborhood are preserved, and now occupied by restaurants, shops and an event space. Kobe Harborland starts just outside of JR Kobe Station and the Harborland Subway Station. ​It is close to a number of stations and also can be reached from Meriken Park in a five minutes’ walk. Visit Tourist Information Center to pick up a guidebook.